On the air since January 2016. 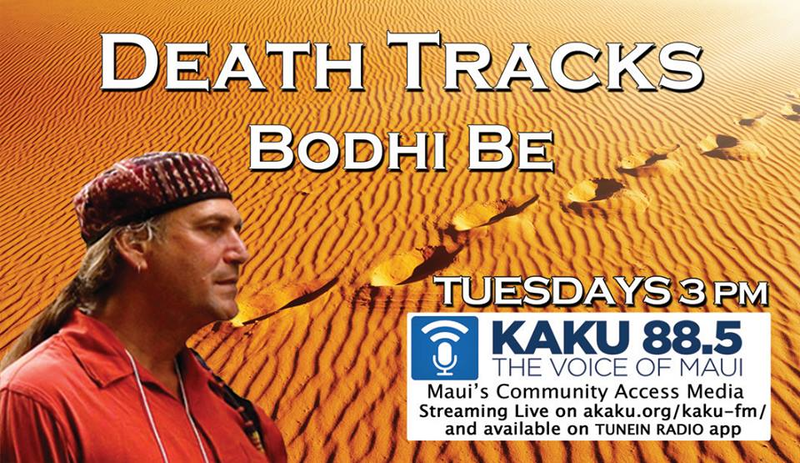 ﻿Bodhi takes to the airwaves to cultivate, stimulate and elevate the dominant culture’s conversations on wholehearted and sacred, living, aging, dying and death. This show will follow the tracks of our ancestors, as well as make tracks, and play musical tracks from many genres in these themes. The show includes in-studio interviews with guests and time for listeners to call-in with questions and comments. JOIN THE CONVERSATION!